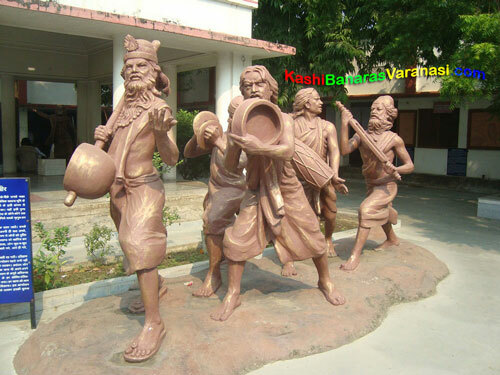 Shri Satuwa Baba Maharaj ji was a great and popular saint in the Varanasi. He was admired and honored by the thousands of pilgrims all across the India. 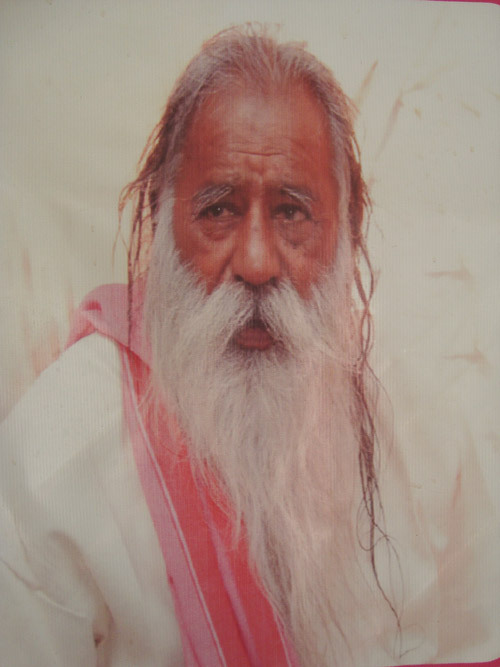 Shri Satuwa Baba Maharaj was born in 1913 in a rural Brahmin family in the Sankarpur, Uttar Pradesh, India. His spiritual nature was God gifted. He was drawn towards the religious and spiritual quests in his early childhood just at the age of 12 years. It is considered as the Maharaji has left his home and joined the sadhus group in the Kashi without notifying his family. After joining sadhus group he began and continues his learning at the Satuwa Baba Ashram and in few years he became very skilled and proficient in the Vedic texts and yoga. He passed away early in the morning on Wednesday, November 28, 2012 at the age of 99 years. His Samadhi referred to as the Mahasamadhi, is a great occasion for everyone as the blessings of “Maharaj ji” are conferred upon all. By 1945, He was also known as the great spiritual Master. He left his Ashram by 1954 and gone towards the Himalayas to start a concentrated spiritual practice and austerity. Around ten years he concentrated on his austerities and yoga in the Himalayan caves by taking only milk and water. After his hard and powerful practices he came back to the Satuwa Baba Ashram in the Varanasi and became the chief administrator. In 1972 he got handed over his lineage and tradition to Maharaj ji by his Guru and he acknowledged as the Sixth Satuwa Baba. In the meantime, he honored by the Vishnuswami society as a leader and became the Vishnuswami Sampradayacharya. 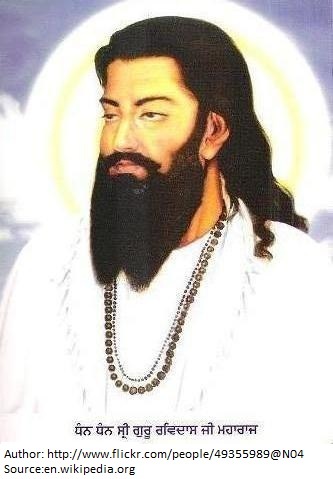 He was also bestowed as the title of Jagadguru by the Saint and Sadhu society. He got a variety of responsibilities as the sixth Satuwa Baba for the advantage of normal human beings and welfare of the human society. He expanded and extended the Satuwa Baba Ashram to a great extent during his leadership. A Sanskrit college in the Varanasi provides free education service for 50 boys at the Ashram with free food and lodge and around 150 people are fed daily at the Ashram without any charge. He went through the various sacred sites in India, Europe and United States of America. He is really missed by his followers throughout the India and the world. Satuwa Baba Ashram (the residence of Satuwa Baba) is situated at the Manikarnika Ghat alongside the shores of holy river Ganges in Benares. Satuwa Baba Ashram is a living tribute of the rich spiritual tradition of India and visited by the people from all across the world. 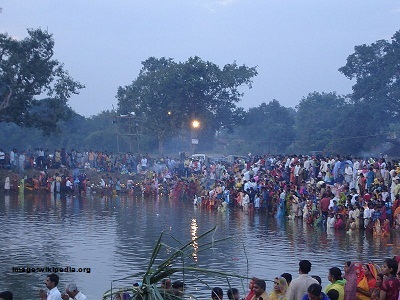 This Ashram has become place of worship of Lord Krishna, Radha and Lord Shiva. Ashram provides various facilities to train the young minds with a Vedic (known as the Hindu Scriptures) inclination. The Ashram has a beautiful environment having garden and peaceful surroundings to provide an endless pool of the spiritual knowledge. In the honor of Shri Satuwa Baba Maharaj’s Jal Samadhi, devotees have celebrated the culmination of 13th days of ceremonies at 10 Dec, 2012. Many Sadhus came to the Ashram together with the Mataji in the darshan hall and pay respect to the Maharaj ji. After the ceremony, around 5,000 people including children from ASMITA organization and slums in the Kashi were being served with food. Mataji strolled around the Ashram all over the day and inspecting for the cooking and serving of food by the bandhara. As a Mother, she delighted to care for her children and pleased to feed to the countless people in the honor of the Mataji’s adored Maharaji.